Fitbit Flex Wireless Activity + Sleep Tracker Just $69.99! 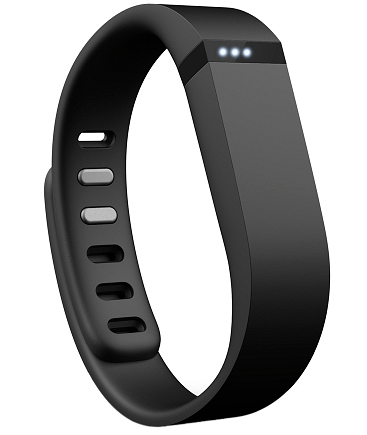 You are here: Home / Great Deals / Fitbit Flex Wireless Activity + Sleep Tracker Just $69.99! You can get a Fitbit Flex Wireless Activity + Sleep Tracker for just $69.99 right now! Walgreens has them online for $99.99 with 30,000 Balance Rewards points!! That is $30! If you haven’t signed up yet, you can sign up for the Balance Rewards program before you do this deal and get the points! Just add it to your cart and before you checkout it will ask to log in or join to get your points! Balance Rewards points just for tracking your health. 250 points when you connect an app/device or set your first goal. Set a Goal & Go. Make it Your Lifestyle. Put it On. Set a Goal. Go! Never stop moving with Fitbit Flex. Wear this slim, stylish device all the time and get the motivation you need to get out and be more active. It tracks steps, distance, and calories burned and shows you how you’re stacking up against your daily goals. At night, it tracks your sleep cycle, helps you learn how to sleep better, and wakes you silently in the morning. Access your stats anytime on your computer, tablet or from leading smartphones — both iPhone and Android. Flex is your perfect companion, it’s with you everywhere … even in the shower. Plus, it looks good no matter what you’re wearing. Never stop moving with Fitbit Flex. See how you’re stacking up against your daily goals 24 hours a day. Track steps, distance, and calories burned; monitors your sleep and wakes you with a silent alarm. Access your stats wirelessly with computers and select mobile devices. It’s the motivation you need to get out and be more active. Never stop moving with Fitbit Flex. Tracks steps, distance, calories burned; monitors sleep cycles. Your stats upload wirelessly to select mobile devices and to your computer. Get fit, track sleep — always by your side.